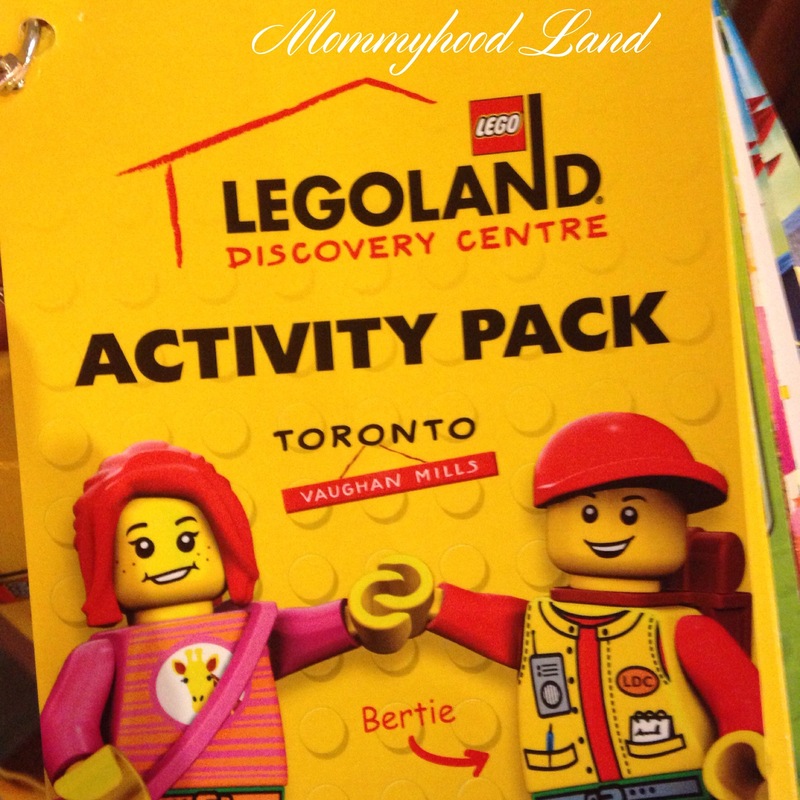 We recently took our very first visit to Legoland in the Vaughn Mall. Honestly I wasn’t sure what to expect. Usually I google and research a place, like to the point that I know the most useless random facts about a place, before we even leave the house. However this time I figured that since it is Lego, it was pretty much self-explanatory. Should I have ended up researching it? No. It wasn’t needed. However I probably should have packed more snacks for my daughter. Legoland was awesome, for my boys. They were the perfect age, 8 and 9 years old. They loved it. We spent hours in there. They went from room to room to room, they built Lego, took it apart, built something else. Over and over again. I loved that the place was set up in such a way that when they were playing I could actually sit down and just enjoy watching them. My daughter on the other hand, she’s 1. She could have cared less for any of it. Although Duplo blocks they had did manage to hold her attention for a little bit of time. Mostly she just enjoyed watching everything and chasing after her brothers. I was amazed at the amount of detail that went into everything there and all the displays they had. The mini city of Toronto was AMAZING! I loved it. And it was interactive, and had fireworks on the wall that went off. My daughter actually really enjoyed that room, especially when the fireworks went off. And here I am proud of myself when I make a Lego box. Clearly I have to step up my game just a wee bit! I can see how it is easy to spend hours in there, as long as your kids love Lego that is. They had rides, indoor playground, and Lego building stations, they had a build your own race car and race track. It was pretty awesome! I can’t wait to go back. But next time I think I will see if Grandpa and Grandma want some time with their grand-daughter. She didn’t enjoy it nearly as much as the boys and it wasn’t really geared towards her age. 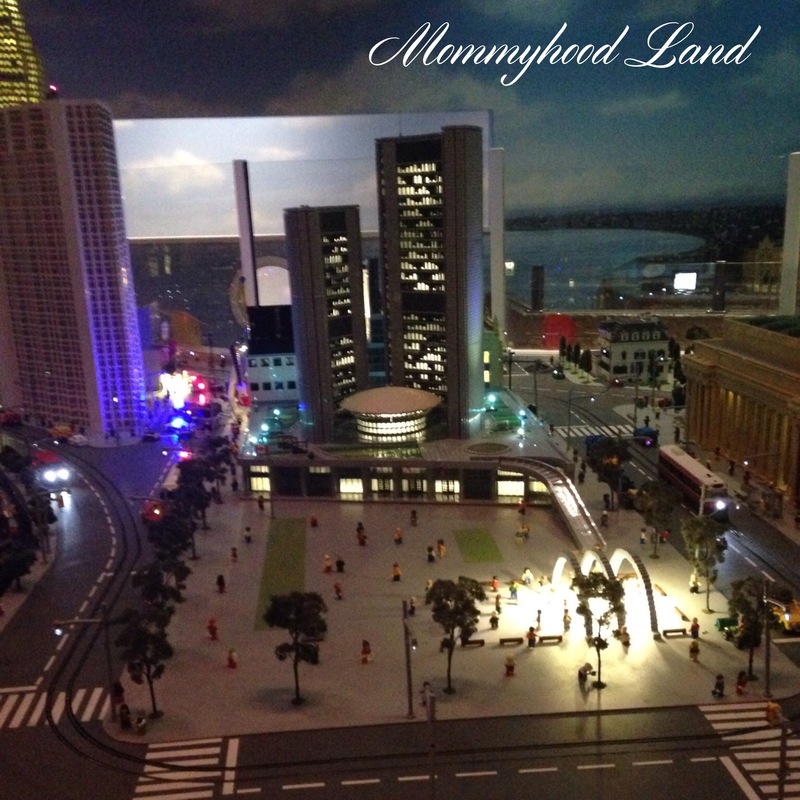 Have you ever been to Legoland before? Seeing the one in Toronto makes me excited to go see the one in Florida one day!